With families. And lots of kids now. Growing up in our family of 9 kids, we were #7 (Adam) and #8 (Austin). 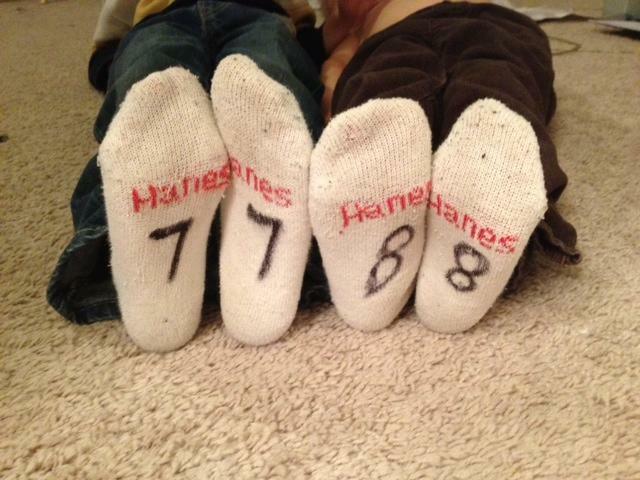 With a black Sharpie, we labeled all socks and underwear with our number for easier sorting. Every morning there were 10 brown sack lunches lined up in numerical order (Dad's had a "D"), always in time for the bus. Of necessity, our life was frugal. We got one pair of shoes each year, good for school and church and soccer. 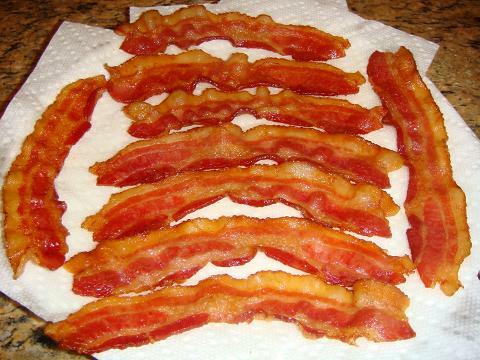 On the rare day that we had bacon, we each got half a piece. We'd spend 10 minutes analyzing the size differences in order to choose the best one. Every Saturday Dad made 8 gallons of reconstituted powdered milk, since it saved a few pennies. Mom always ground raw wheat and made homemade bread since it was cheaper than store-bought. We'd smother it with margarine (cheaper than butter!) 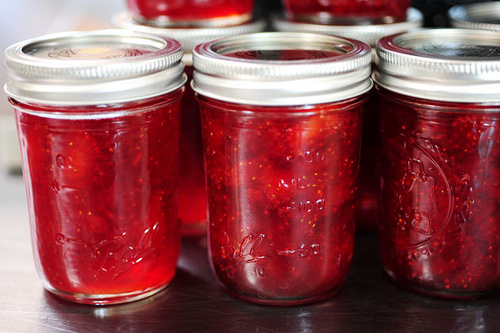 and homemade strawberry jam from berries we picked with our own hands. And we were still happy! We learned to budget, to save, to find good deals, to reuse, and sometimes to never buy in the first place. We were taught to be resourceful, how to avoid debt, and that buying stuff wasn't buying happiness. We grew up, went to college, got married, and discovered that we also have the same fertility issues as our parents. There are 13 little kids in our two families, and the chaos is unreal. Which is why we go to work. And it's also why we started to go to yard sales. Our wives insisted that kids need both shirts AND pants, and the only way to afford it all was to buy used. Thanks to yard sales, we can now afford to buy two pairs of shoes for each of our kids, but we're still looking for that discount bacon. We wanted to have the yard sale experience all the time, not just on weekends. The recipe was simple: make it easy to use, keep it family-friendly, and top it off with a big dollop of old-fashioned community. It turns out that millions of others wanted the same thing, and we couldn't keep the hobby to ourselves. To the frugalist in all of us, we bring you bookoo. It's a big part of us, and we hope it becomes a part of you. and the rest of the bookoo cuckoos.